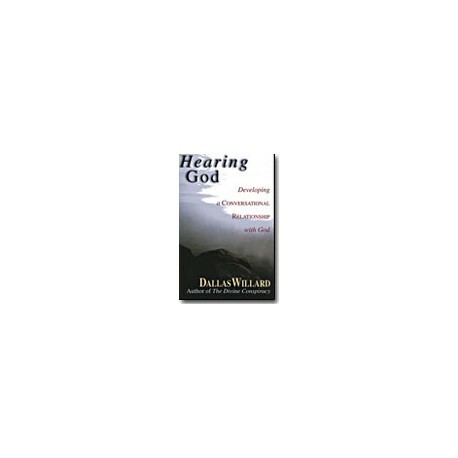 Hearing God is the full-length version of Dallas Willard's popular Through the Year Devotional for PC Study Bible . Perfect for Bible Studies, this resource includes Topics for Reflection questions that can be completed and printed from within PC Study Bible . Being close to God means communicating with him – telling him what is on our hearts in prayer and hearing and understanding what he is saying to us. It is this second half of our conversation with God that is so important but that can also be so difficult. What if what God says to us is not clear? The key, says Willard, is to focus not so much on individual actions and decisions, but on building our personal relationship with our Creator. In this updated classic, originally published as In Search of Guidance, the author provides rich spiritual insight into how we can hear God's voice clearly and develop an intimate partnership with him in the work of his kingdom.